Thinking of going underground? Here’s what you need to know about adding a basement to your home. Creating a basement is a practical way to add more rooms to your home, but it can be a complex project. 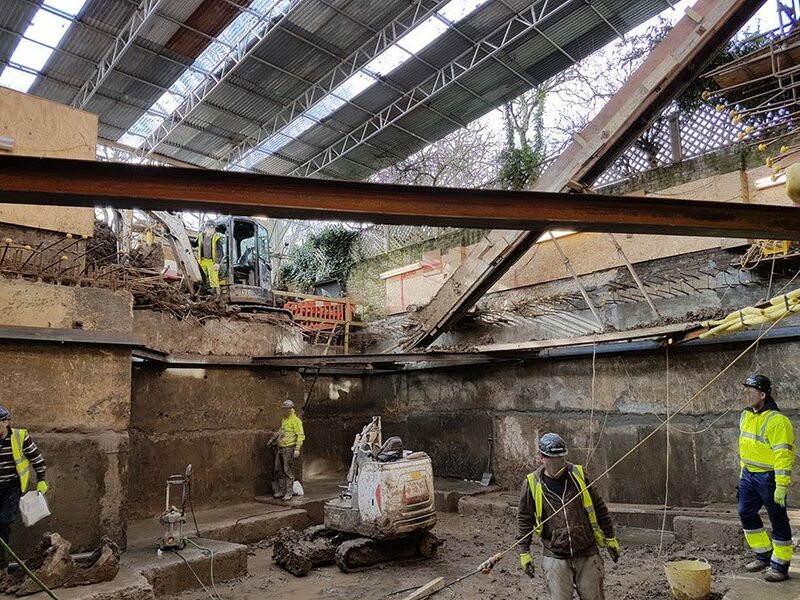 In part 2 of our series on retrofit basements, we look at what you need to know to make your underground space dry, safe, light and legal. A building control inspector will visit throughout your build. “Visits will be coordinated by your basement contractor,” explains Mike Lander of Ensoul Architectural Design. Some of the larger specialist basement construction companies offer waterproofing services in-house. It’s a highly specialist area, so if you’re using a smaller firm, we recommend bringing a waterproofing specialist into the design team. “Now that there’s so much regulation around basements, it’s best to get a professional company on board as soon as possible,” says Steve McStea of Advantage Basements. Under building regulations you must have an escape route from your basement, in case of fire. 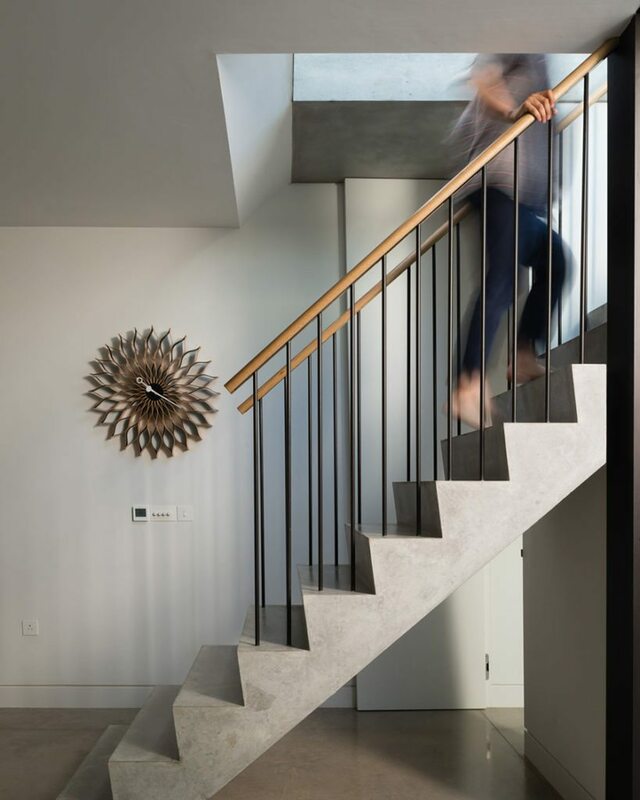 This can be via the main staircase, but if you choose this option, the regulations state that the stairs need to lead up into a protected hallway with a door to the outside. You could also put in an additional staircase leading to an alternative final exit (the stairs can be internal but they’re commonly external). Alternatively, you can include fire escape windows: these are also allowed under building regulations. 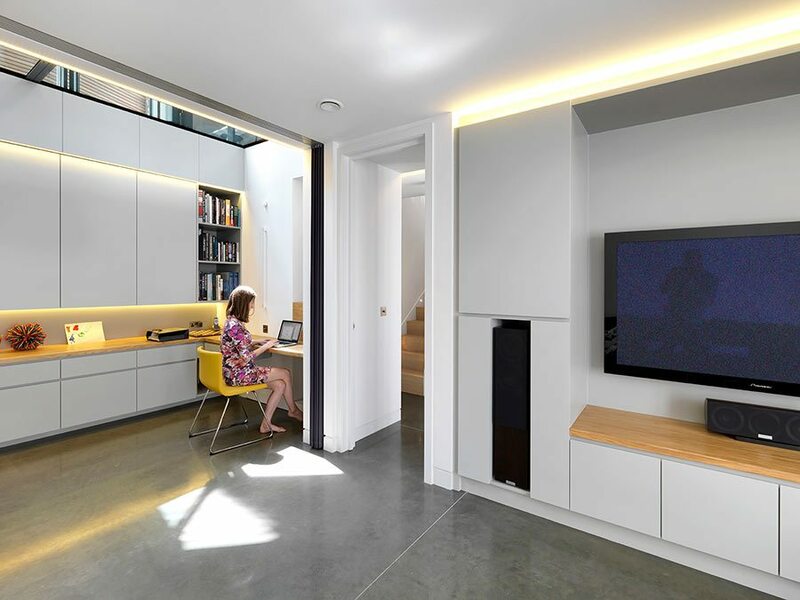 The remodel of this late Georgian 1860s house by Studio Octopi included a 100 square metre basement comprising two bedrooms and shower rooms, a playroom and kitchenette. Building regulations also state that you need to provide ventilation to basements to control moisture vapour. Natural forms of ventilation (cross ventilation or passive stack ventilation) are generally effective, although for spaces with high levels of humidity (such as utility rooms, bathrooms and gyms) you’ll need a mechanical ventilation system. Ask your architect or basement specialist for advice. Also bear in mind that you may need soundproof your basement. “In a recent project (pictured below) the client was in the movie industry, so he wanted the room soundproofed for complete peace and quiet when watching movies,” says Neil Dusheiko of Neil Dusheiko Architects. 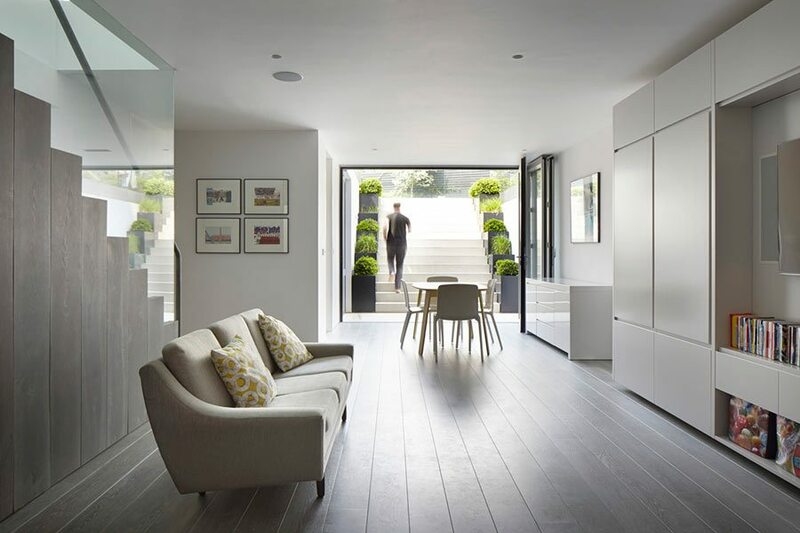 “As well as sound, the client was concerned about the air quality so we installed a mechanical heat recovery system,” explains Neil Dusheiko of Neil Dusheiko Architects. There are many ways to introduce natural daylight to basement spaces. One is create a void on the ground floor to bring light down to the basement level. You’ll lose space at ground-floor level, but the benefit is that you won’t have to excavate externally. Another option is to add recessed toughened glass roof lights at ground-floor level to focus light downwards. If your basement room will be under the back garden, roof lights work equally well externally, but remember to keep them clear of garden debris during the winter months. 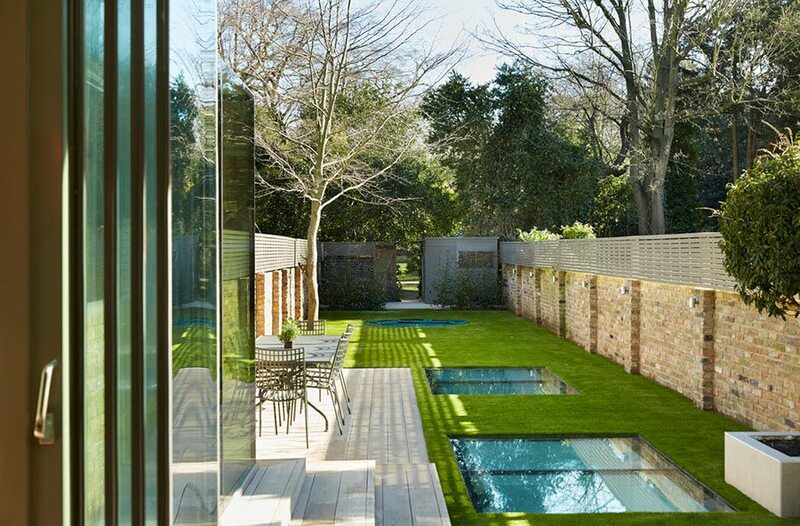 This basement by Ensoul Architectural Design extends under the garden. 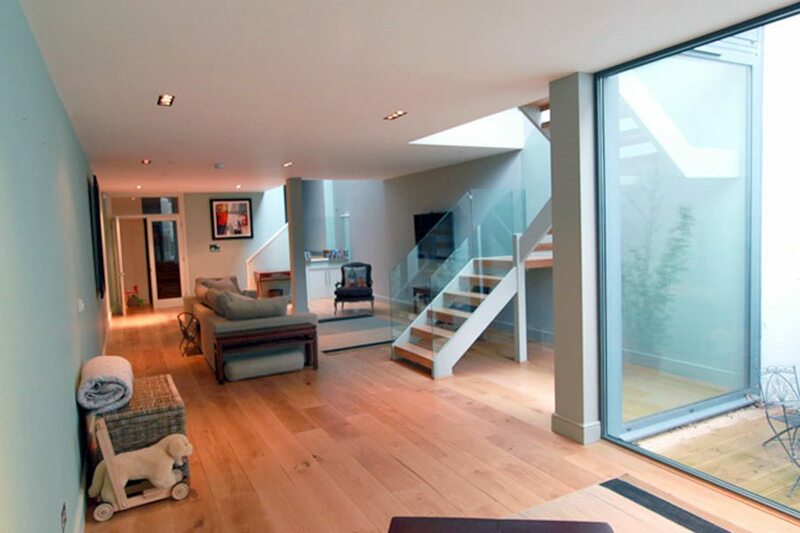 Recessed roof lights of toughened glass provide natural light. Alternatively, consider a light well – an open area with access to light – at the front or back of the basement. If you’re installing a light well to the rear, consider digging out a small courtyard and installing a set of sliding bi-fold or French doors. Then put in a new staircase from the courtyard to the garden. 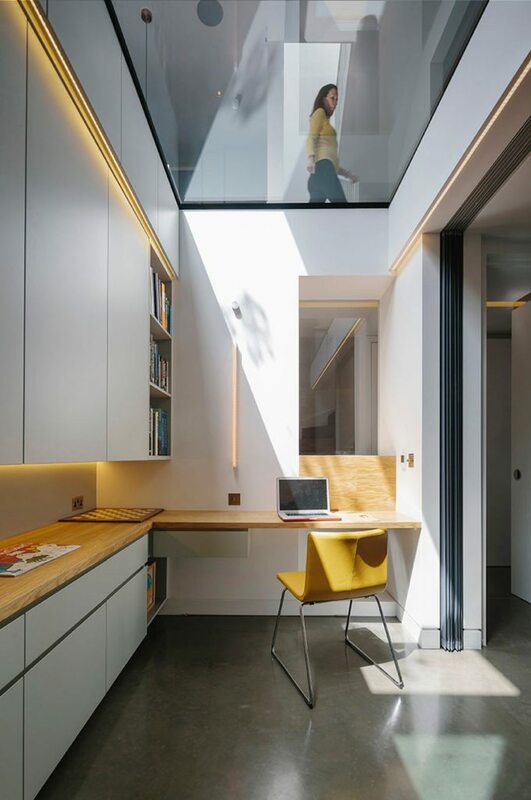 A radical remodelling of this Victorian House by Neil Dusheiko Architects created a new basement lit by a large light well and skylights cut into the floors above. Before any work starts on your basement project, you’ll need to let your home insurance provider know about your plans. Many won’t provide protection for new building work and you may need specialist site insurance. Protect yourself further by checking that your contractors and their subcontractors are correctly insured. “We strongly advise that you take expert advice on guarantees and insurances,” says Mike Lander of Ensoul Architectural Design. A basement fit-out covers everything from plastering, flooring, lighting and electrics to plumbing, decoration and joinery. Most basement contractors only concentrate on constructing the shell and core (the concrete structure in the ground) but some also offer fit-out work. “To call a basement a truly habitable space, and obviously for the safety of everyone, you need a secondary means of escape,” explains Steve McStea of Advantage Basements. Think carefully about how your basement will connect to the rest of the house: there are both legal and practical considerations to factor in. Staircase safety and comfort are dictated by building control regulations. The most important measurement is the total rise (the vertical distance from floor to floor), which dictates the number of ‘rises’ (the space between one step and the next) and ‘goings’ (also known as ‘treads’). Regulations state that rises must all be the same height and no more than 22cm, while goings must be no less than 22cm. The maximum allowed pitch of a staircase is 42°, and you must have headroom of 2m at all points on and off a staircase. There are no recommendations about the width of a staircase, but experts advise that for the sake of comfort and aesthetics, it should be no narrower than 86cm. 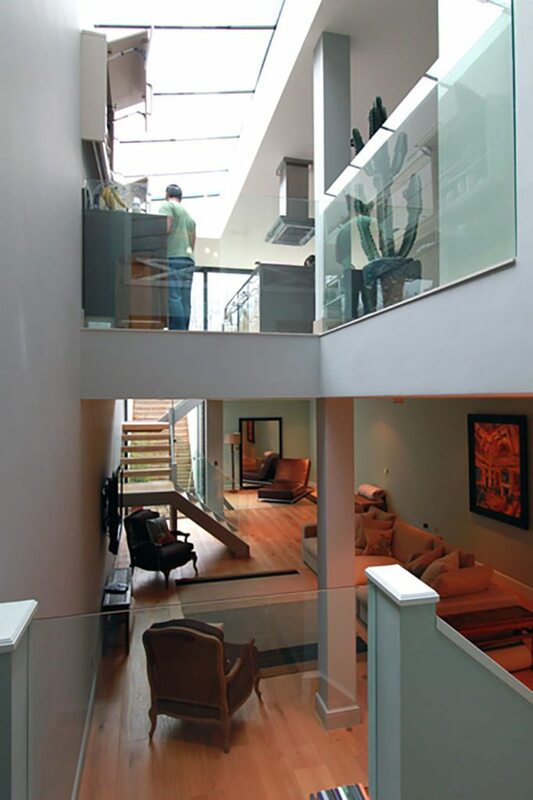 In terms of other practicalities, the location of the staircase should maximise the space available. “Normally, it makes sense to utilise the space underneath the existing stairs because you don’t want to lose any more space at ground-floor level by creating an opening,” explains Steve. Pictured is an 82m2 basement by Studio Octopi below a Victorian house in south London. The new staircase is made of precast concrete, which was craned into the house. Interested to know the current value your property? Try our free, easy-to-use online property valuation tool.